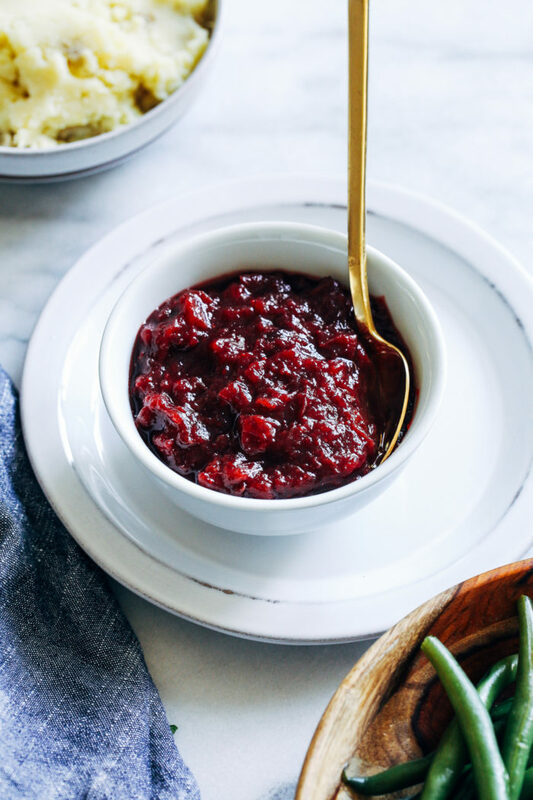 Easy Slow Cooker Cranberry Sauce- all you need is 3 simple ingredients (not including water) to make this easy homemade cranberry sauce that’s so much better than store bought! Raise your hand if you used to love the thick gelatinous Ocean Spray Cranberry Sauce that came in a can! That stuff is loaded with nasty high fructose corn syrup. Plus the texture is far from appetizing. There will be no thanks for giving that to anyone. 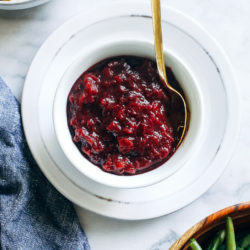 However there will be thanks for this super easy homemade cranberry sauce made with pure maple syrup. I hear you, maple syrup is still sugar. I know. But it isn’t processed like high fructose corn syrup which means there isn’t any preservatives or additives. It’s more of a whole food, if you will. 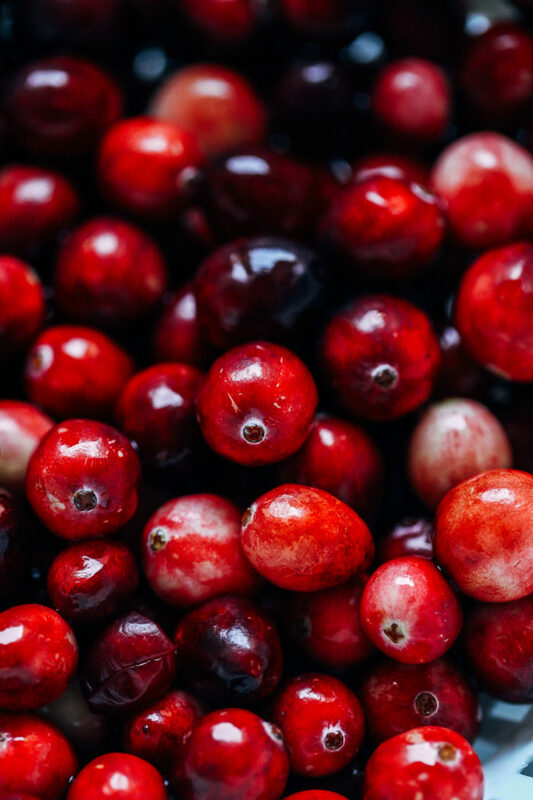 Besides I’m not sure if you’ve ever had straight cranberries but they are tart enough to make a lemon look like a walk in the park. They need some sugar. 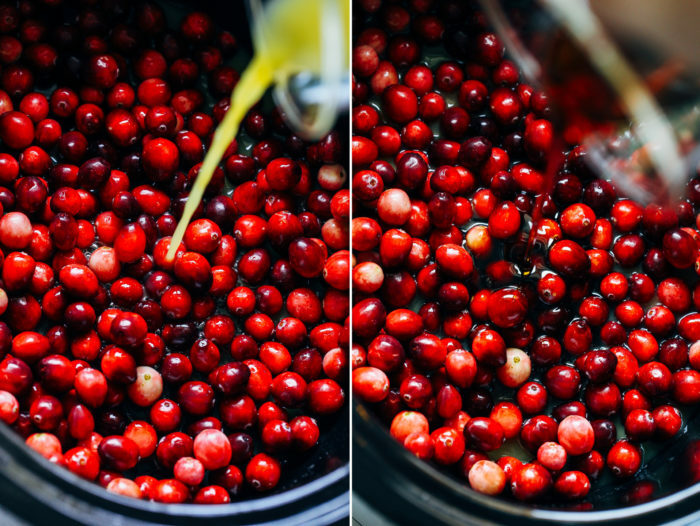 So what’s great about making your own cranberry sauce is that you only need 3 simple ingredients: cranberries, orange juice and pure maple syrup. You just pour them in a slow cooker, stir and the rest is history. Another thing that’s great about making your own is that you can adjust to your liking. You can add more sugar if you like it really sweet or you can cook it longer if you like a thicker texture. I usually cook mine between 3 to 4 hours on high heat for a semi-thick cranberry sauce. You can also cook it up to 2 days in advance if you want to free up time on Thanksgiving day. It holds up great sealed in the refrigerator! Combine all of the ingredients in a slow cooker. Set to high heat, cover and cook for 3 hours. Stir halfway through, using the back of the spoon to smash the cranberries. The sauce will thicken as it cools. If you prefer a thicker sauce you can allow to cook for another hour before cooling. 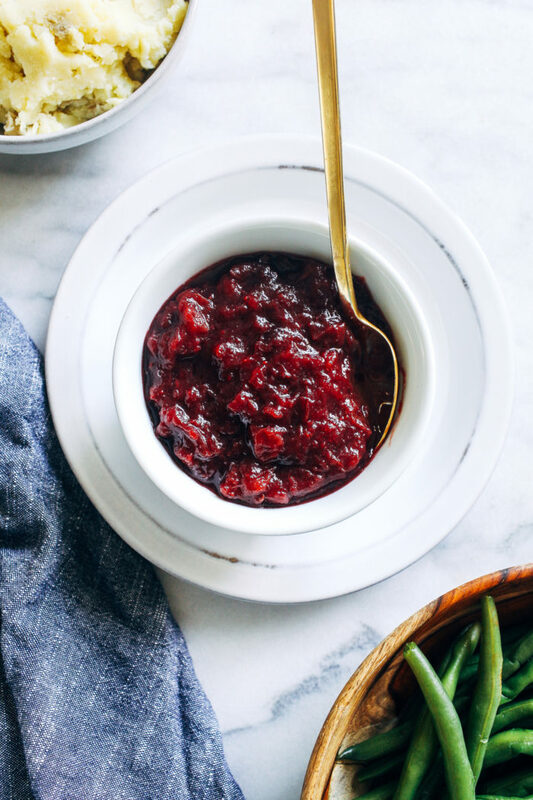 *1/2 cup maple syrup yields a lightly sweet, tart cranberry sauce. 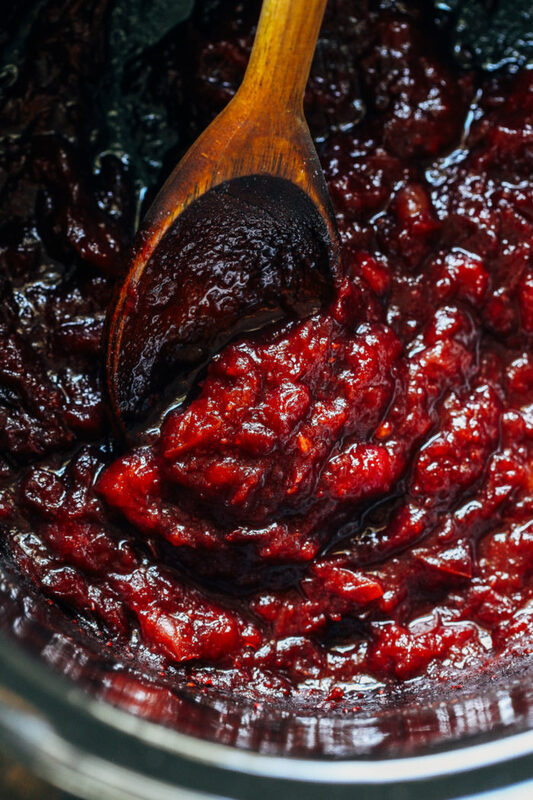 You can substitute honey for a sweeter cranberry sauce or add a few tablespoons of sugar, such as coconut sugar or organic cane sugar.